Within the American landscape, or any landscape in the world for that matter, gasoline stations are at once ubiquitous and forgettable. They occupy the corners of city intersections and on lone stretches of highway in the middle of nowhere and seem to be everywhere when you don’t need them, and almost out of reach in an emergency. In my childhood they were of particular fascination for a young boy as, if my older brother didn’t beat me to it, I’d be able to convince my father to let me pump the gas. It was a time when I felt small excitement with simple things like the twist and release of suction of the gas cap, the fumes, the clank of the nozzle inserted, the arc of the pump reset handle, the tension of the pump’s trigger, the speed at which the price indicator out runs the volume indicator and then finally the sudden and almost violent shut off once the tank was full. Finally, after the manual card machine was slid back and forth and my father handed the credit card slip’s carbon-copied layers back to the attendant, we pull out onto the main road and I sit in the backseat breathing in the gasoline smell from my hands. 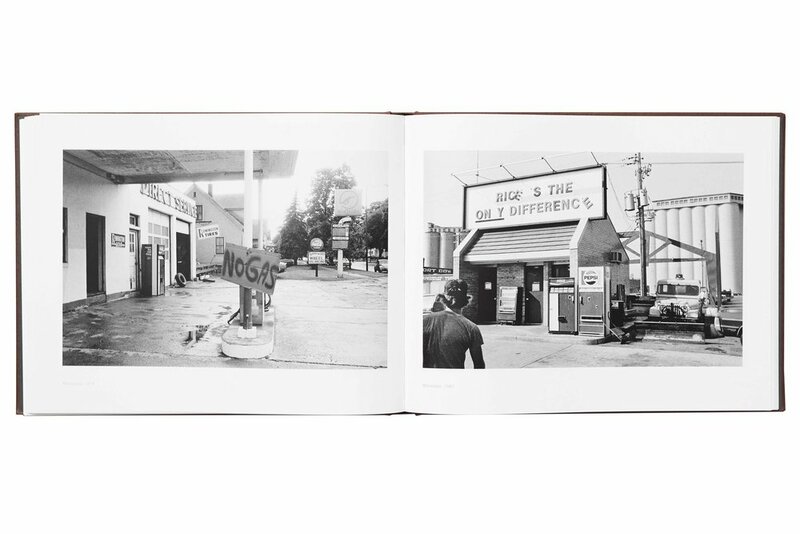 From 1978 to 1981, David Freund travel throughout the United States exploring the culture and architecture of gas stations as they appeared in the American landscape. 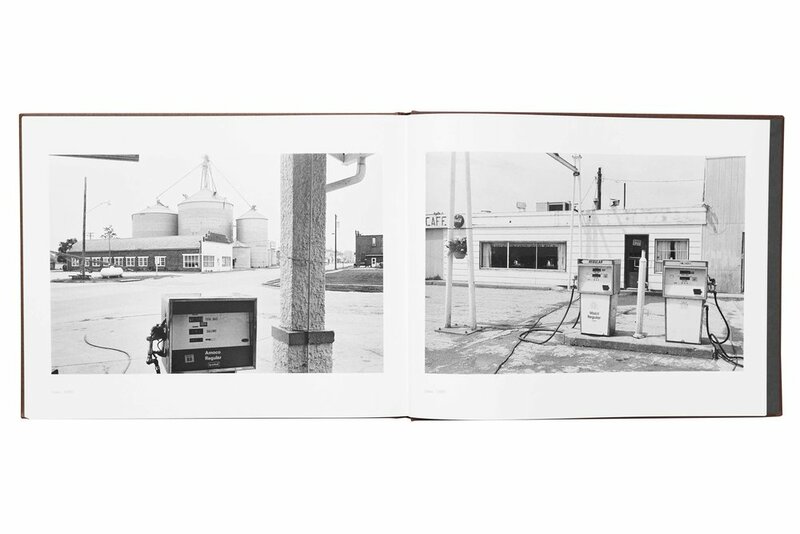 The four slipcased volumes presented here titled Gas Stop are organized into locations of the Midwest, West, East, and South and includes 574 photographs in over 700 pages. My first thought was “do we really need four volumes of black and white photographs of gas stations?” It is a reasonable question in the same way that one could ask “do we really need hundreds of photographs of the same subject of anything?” What do 574 photographs accomplish that 50 can’t? Just because one does have hundreds of photographs of the gas stations doesn’t mean all need to be seen. Right? In a funny way, if this epic bookwork were made by a self-identified conceptual artist, the volume of images wouldn’t be questioned. 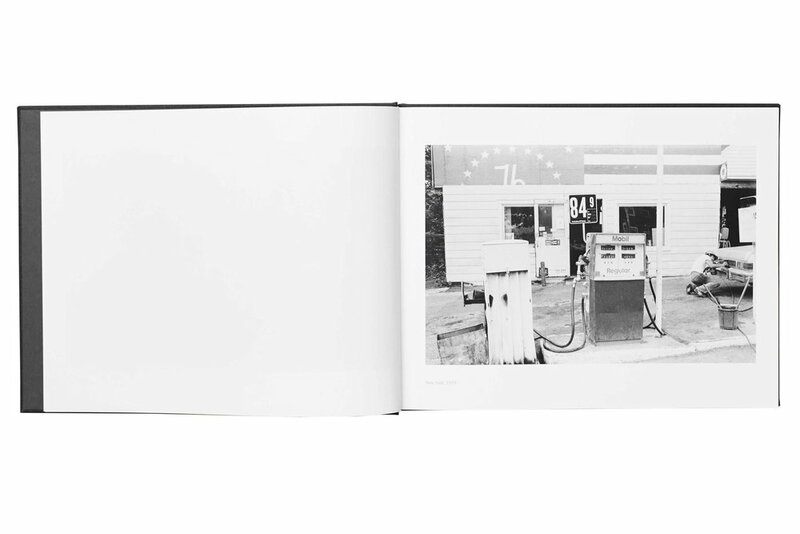 What if Ed Ruscha presented us in 1963 with a book called Five Hundred Seventy Four Gasoline Stations? 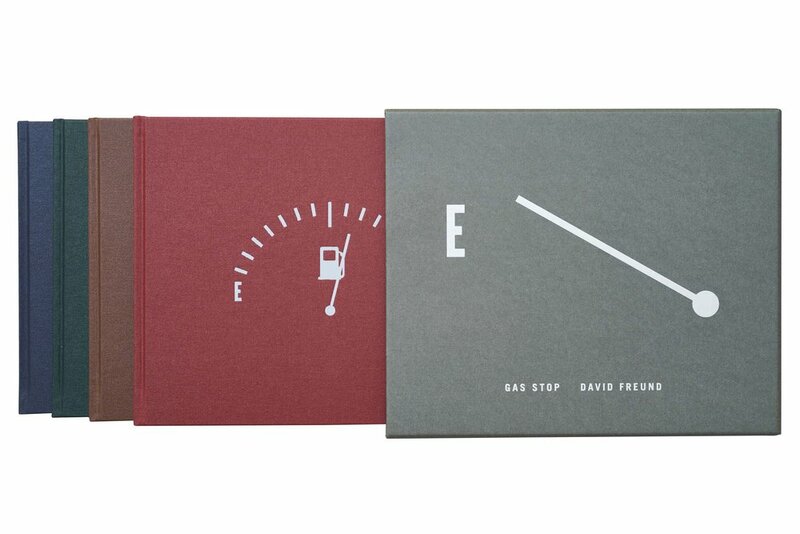 No one would bat an eye yet the usual photobook publisher’s instincts might still wish to limit Freund to Twentysix Gasoline Stations. Well, although your instincts and experiences with photo books might lead you down that path I have found these four volumes far more interesting and successful than I could’ve expected. The language of Freund’s photography is not unique from the time and will seem familiar to most with flavors of Lee Friedlander, Garry Winogrand, Henry Wessel, Tod Papageorge and others also working the “social landscape.” Although that lineage can be reasonably made, Freund has succeeded in most cases of making brilliant and complex photographs. Of course, only a glutton would try to go through all four volumes in one sitting, right? Well, that depends on your appetite for the pleasures of good photographs. These have a way of sparking curiosity for what is on the next corner, even though you already know with certainty what you'll find there.